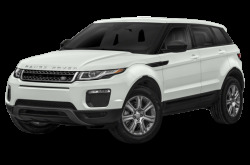 Land Rover is renowned for its full line of rugged, yet luxurious SUVs that all come with standard four-wheel drive. 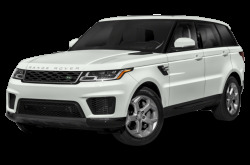 Land Rover vehicles also have optional All-Terrain Progress Control, which is essentially an off-road cruise control mode that allows the driver to concentrate on steering. Let’s start with the Discovery line. 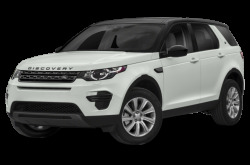 The Discovery Sport is the entry-level, compact SUV in the lineup that can seat up to seven passengers. 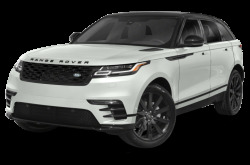 It is powered by a 237-hp, turbocharged 2.0-liter four-cylinder engine that produces 250 pounds-feet of torque mated to a nine-speed automatic transmission. Fuel economy for the Discovery Sport is an EPA-estimated 20/28 mpg city highway. 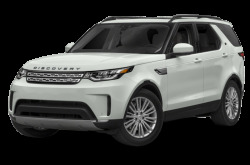 The Discovery is a mid-size SUV that seats seven passengers across three rows. Maximum cargo capacity is 88.3 cubic feet with the rear seats folded down. Moving onto the Range Rovers, the Range Rover Velar is the entry-level, compact SUV in the lineup. It comes in one of three body styles: a regular five-door, a three-door coupe, or a two-seat convertible with a retractable top. 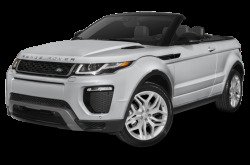 The Range Rover Evoque is a compact, city-friendly SUV that now comes as either a four-door SUV or a two-door, soft-top convertible that seats four passengers. Inside, it has a standard InControl Touch 8-inch multimedia system with navigation. The Range Rover Sport is the mid-size luxury SUV with a maximum towing capacity of 7,716 pounds. 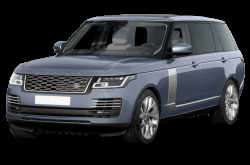 It is the smaller, lighter, more agile counterpart to the full-size Range Rover. It has a standard, supercharged V-6 engine, an optional turbo-diesel V-6, and a more powerful supercharged V-8. 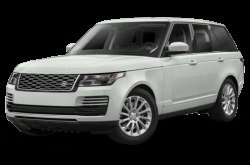 Lastly, the Range Rover is the flagship SUV that comes with either a standard wheelbase (115-inches) or a long wheelbase (122.8-inches). It has three engine options: two V-6 and one V-8. Inside, the center stack features a standard InControl Touch 10.2-inch infotainment system with navigation.